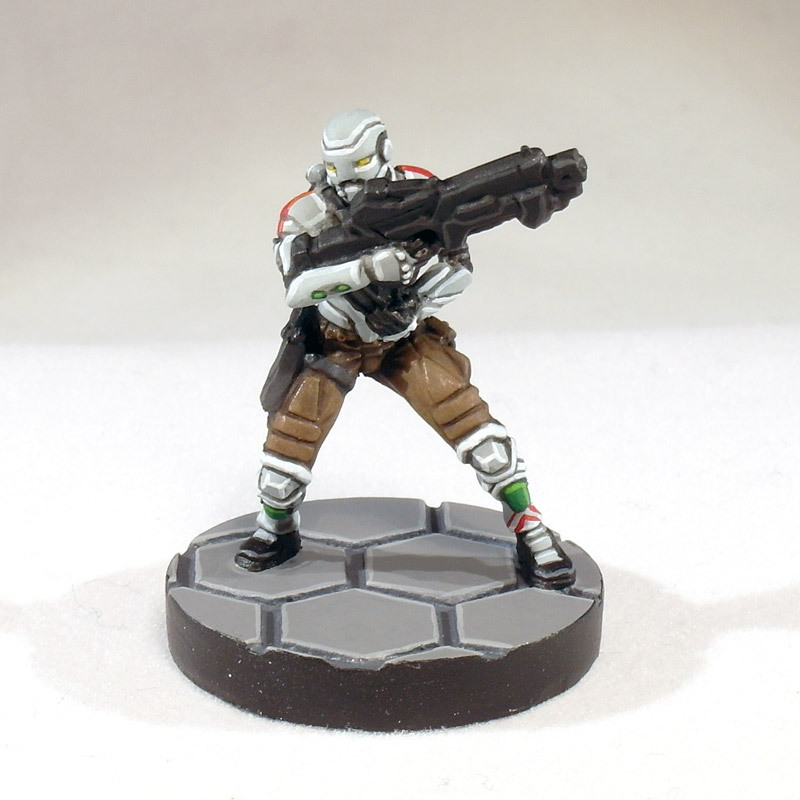 For my Yu Jing, I looked to a few places for inspiration, eventually settling on a predominantly white (or off-white) colour scheme which I’d seen on a couple of other Yu Jing armies. 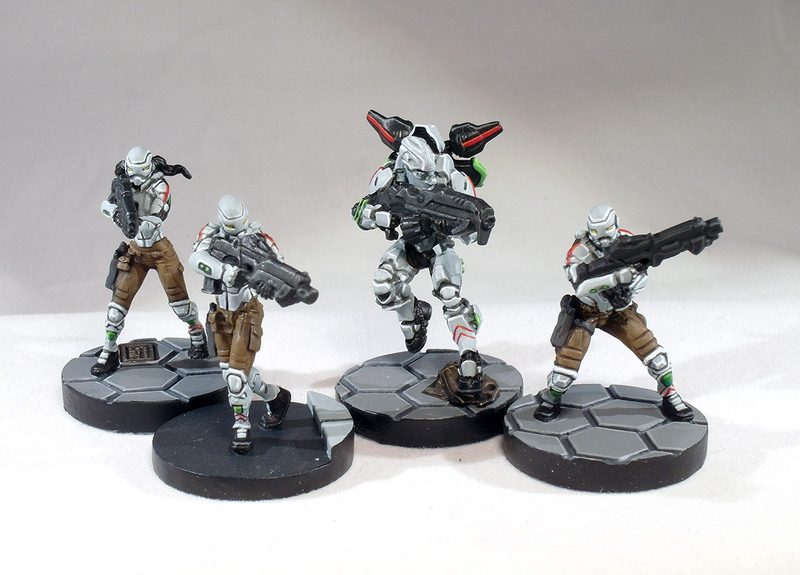 White areas are painted with Celestra Grey, washed with Nuln Oil then re-highlighted with Celestra Grey then highlighted with Ceramite White. Fatigues are painted with Steel Legion Drab and washed with Agrax Earthshade. I deliberately haven’t highlighted this part any further, to keep the focus on the white armour. I decided that in order to keep them looking interesting, I’d go for some spots of other colours. I decided on greens for lights, yellow for helmet lenses, with some red stripes on shoulder pads, and a pair of red chevrons on the left greaves. Weapons are black with a highlight of Mechanicus Standard Grey, then washed with Nuln Oil, while holsters are painted Mechanicus Standard Grey and washed with Nuln Oil.